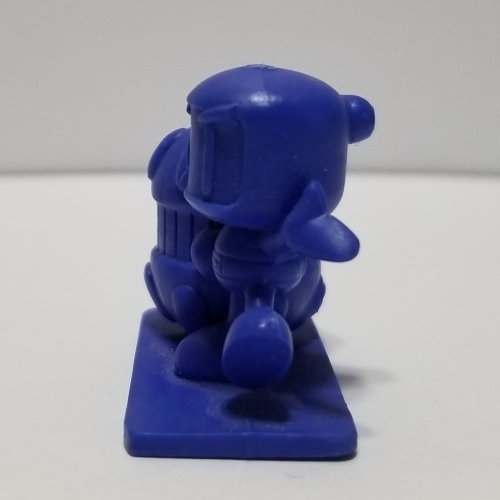 This figure depicts Black Bomberman pushing Blue Bomberman. 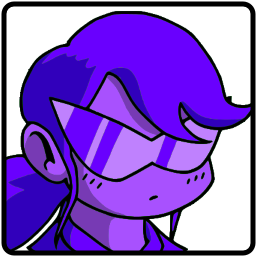 It’s a much different pose than the ones seen in the manual, and for the better, since the characters are turned toward the viewer. The tangle of hands in the middle kind of melds together, though the painted version makes the details much clearer. You may notice that the rectangular base is a bit warped. 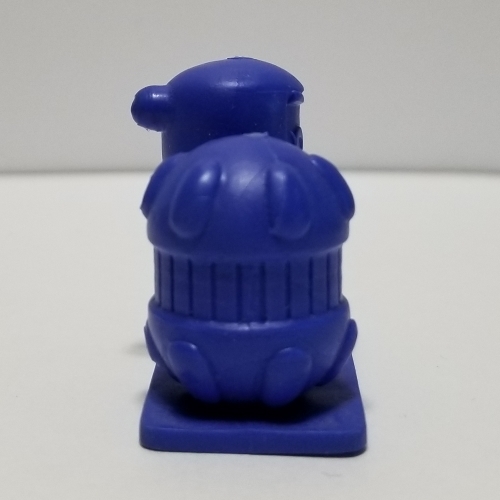 This is probably due to how it was stored if it came out of a gachapon machine. 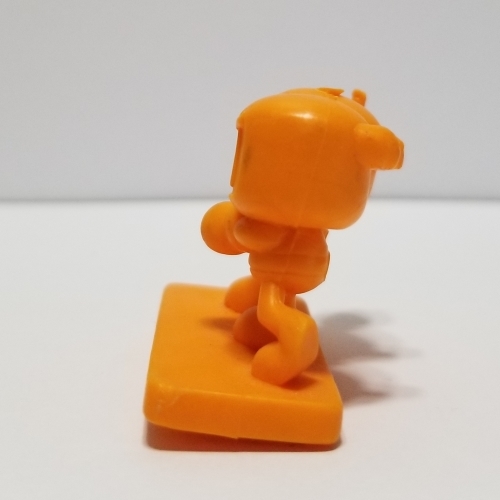 It doesn’t affect the way the figure stands. 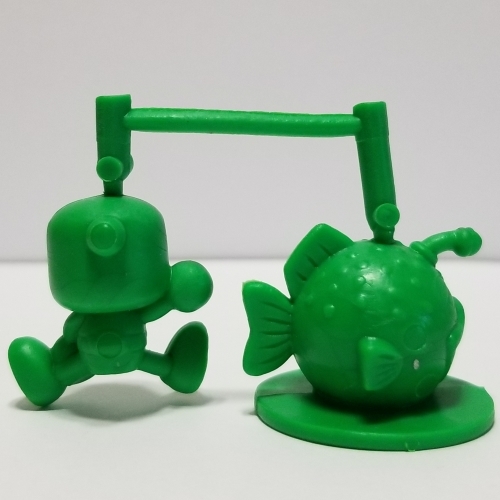 Here’s where the white keshi become… stranger. 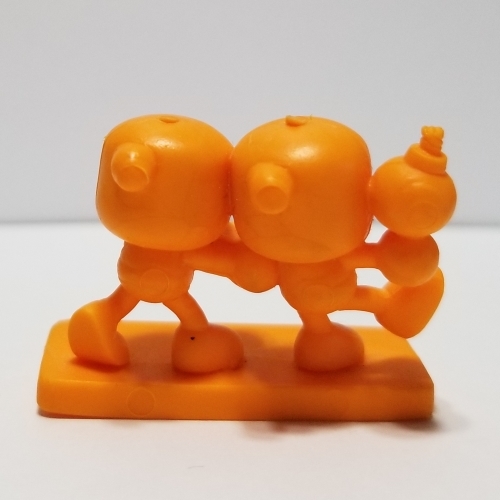 While the full figure is one solid piece, the white variant appears to be two isolated pieces with no bases. 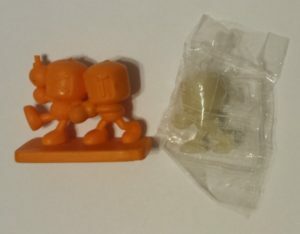 To boot, this half of the figure is sealed within its own little baggy! I have little idea as to what the story is here, but consider me curious. 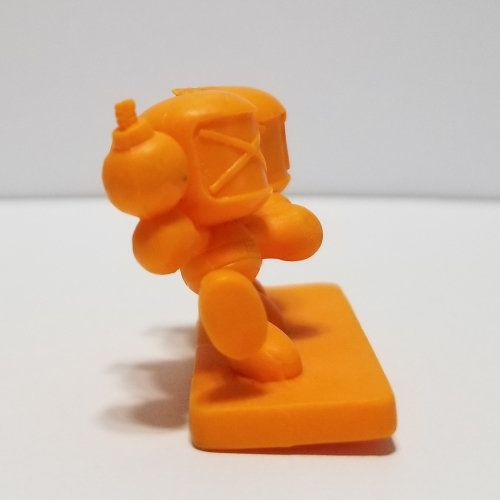 Although I have two of these at this time, both still have their sprues connected, and I just don’t have the muster to snap them just yet. 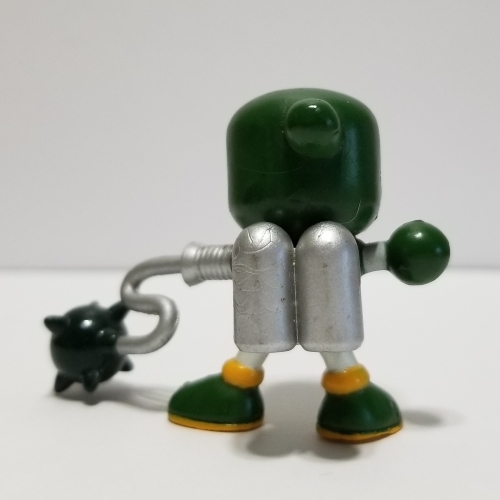 I imagine that it’s a bit less stable than the Dogun Jr. figure is, since Angora is rounded up top, but I can’t verify that at the time. If I ever change my mind or obtain another, I suppose I’ll have to update! Angora sports a combination of its smile from the artwork and its sleepy eyes from the title screen, for a rather dopey, if cute, expression. The details are quite nice, from the bulbous lips to the bumps on its back. 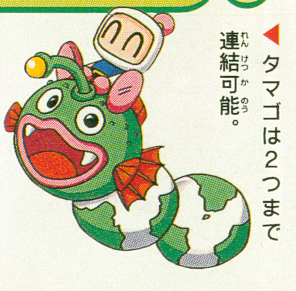 Even the fins and the angler (I suppose that means it’s female?) are crisp and defined. 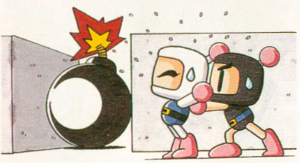 It’s White Bomber with the newly-introduced Mechanical Egg, except he’s winking here as opposed to his ordinary expression in the artwork. 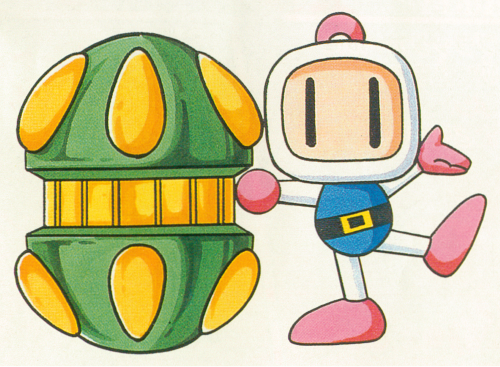 There’s not much to say here aside from the fact that the egg looks exquisite in 3D, and I’m saddened to feel that they may never make a return. 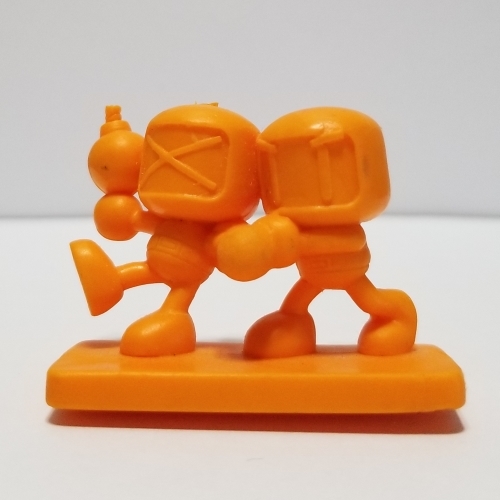 Since this is the last of the half-scale figures, I’d also like to comment that I enjoy the way they rounded out this set of keshi by highlighting all the fun new features that Super Bomberman 4 introduced. 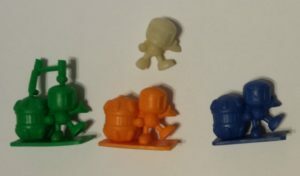 It’s clever and it produced some of the more interesting keshi in the series. Yet again, there’s a strangely separated white keshi with no base. One last thing about these guys is that none of the bases are of the same cut. Strange, right? Both rectangular bases are different sizes and different thicknesses, and while Angora and Bomber Throw’s bases are similar in size, none of the circle bases match in thickness. 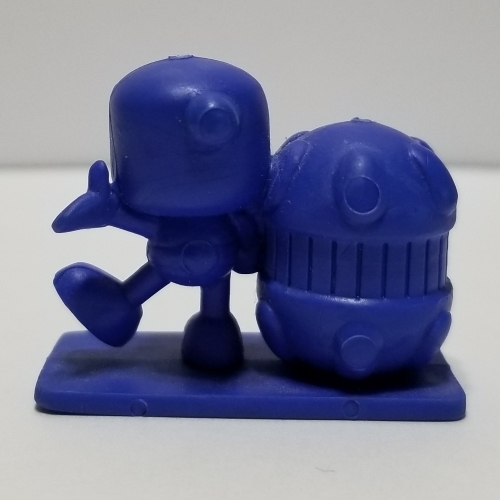 The 4 Bomber Shitennou are among some of the coolest figures in the whole Bomberman keshi lineup if you ask me, and not only because they have painted versions. 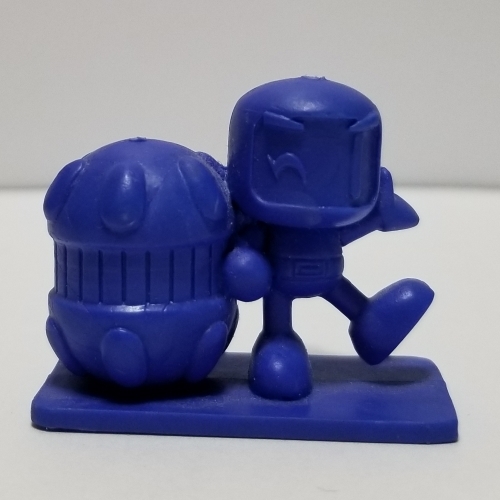 There’s just a lot more detail in these guys that previous Bomberman designs hadn’t had, and it makes them all the prettier to see up on a shelf. 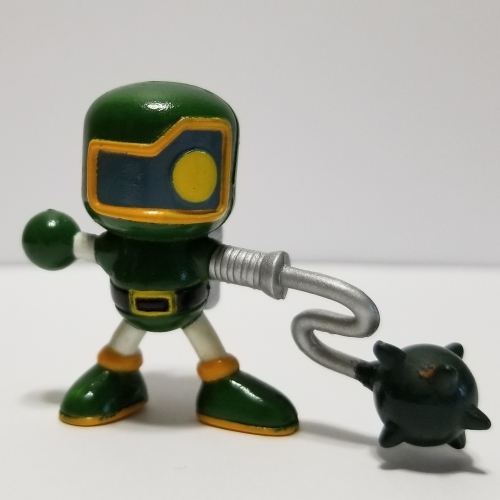 As per usual, the sculptor went out of their way on Hammer Bomber’s details, even opting to have his flail extended and on the ground, where they could have taken the easier route of keeping it up at his wrist. 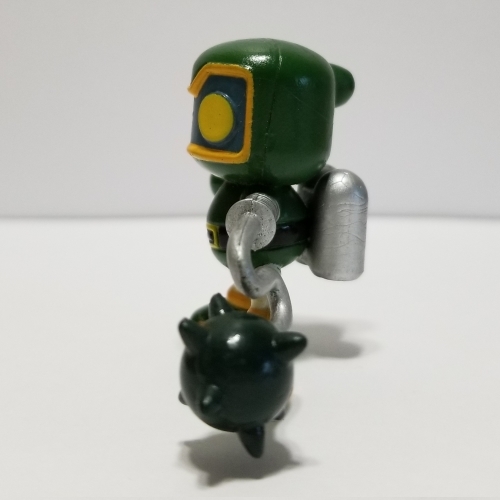 From what I remember, when I had one that lacked his pack, the balance was a bit off, but the jetpack really helps balance him out. The same can be said for the rest of them. 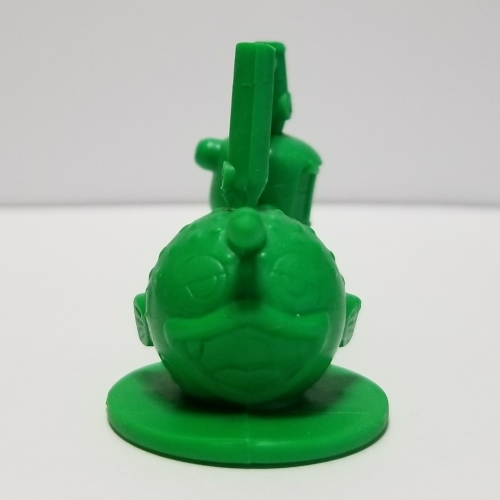 I had another green one with sprues in the wings, but why bother? You get the point. Also important to note is that the general quality of the painted figures is quite higher than that of the unpainted ones. 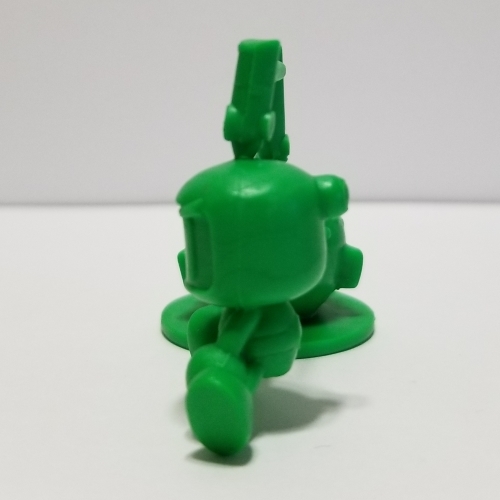 The circles and bumps from injection molding are gone – even the ones on the backs of the legs! 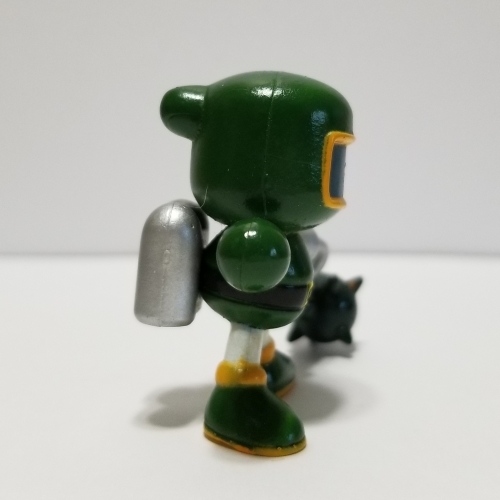 The only one I could find on the whole figure is on his left bottom base of the jetpack, where none exists there in the unpainted variant. There’s one on one of the back spikes of his flail in the unpainted version, and that’s gone too, leaving the spike completely unmolested. 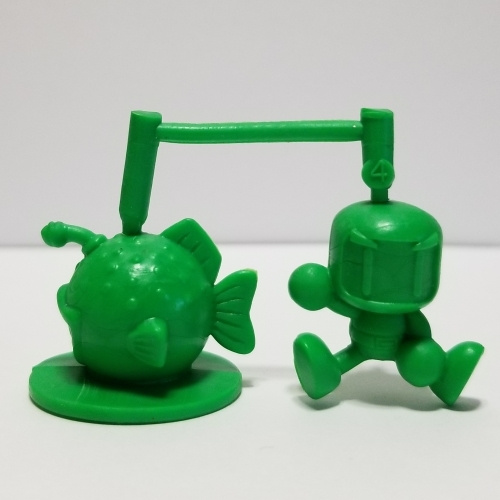 Additionally, where the base of the flail kind of gradually melds into its cord on the unpainted figure, the painted one has a clear and accurate divide with a more spherical iron ball. It’s very nice. 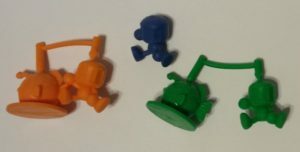 Of course, that combined with the rarity means that people will jack up the prices on these, so have fun getting your hands on any of them.